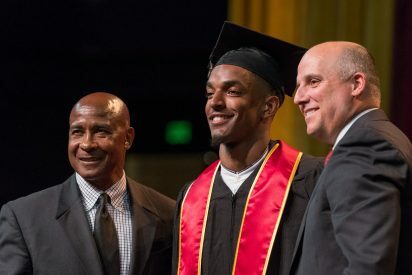 The 2018 Graduation Success Rate of USC student-athletes equaled an all-time high at 86 percent, according to data released by the NCAA. The rate measures how many student-athletes in the classes of 2008 through 2011 graduated within six years of their enrollment. That 86 percent figure equals the 2017 mark, which was the fourth consecutive year that USC Athletics recorded an all-time high. It also is 19 percentage points higher than it was when the NCAA first released such numbers in 2005. Eight of the 18 USC sports with data tracked by the NCAA had a GSR this year above 90 percent, including four with a perfect 100 percent: men’s and women’s tennis (both 100 percent), women’s rowing (100 percent), women’s soccer (100 percent), women’s swimming (96 percent), defending NCAA champion women’s water polo (93 percent), men’s water polo (92 percent) and men’s volleyball (90 percent). Seven other teams scored in the 80 percent range: men’s track (88 percent), defending NCAA titlist women’s track (86 percent), women’s volleyball (86 percent), women’s basketball (86 percent), men’s swimming (81 percent), baseball (80 percent) and men’s golf (80 percent). 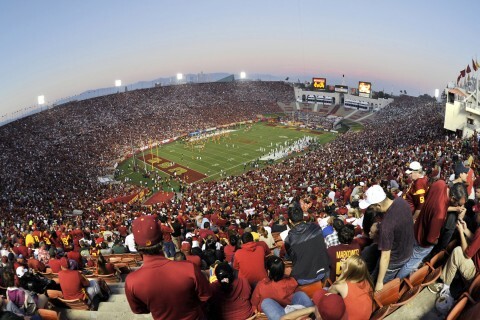 The four USC teams that scored 100 percent either equaled or set all-time high GSR rates for their programs, as did women’s swimming, men’s track and football (75 percent). Football’s rate, which is 20 percentage points better than in 2005, was at a program high for the third consecutive year. 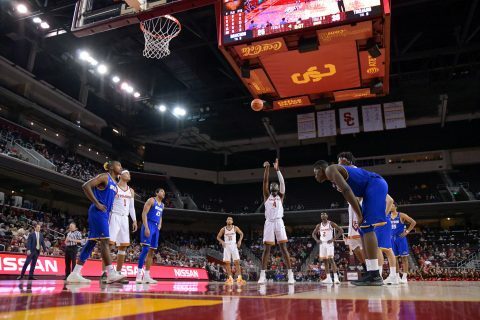 Eleven USC teams saw scores either improve from last year or stay the same: men’s track (+5 percentage points), men’s water polo (+5), football (+2), women’s track (+2), men’s swimming (+1), men’s basketball (even), men’s and women’s tennis (even), women’s rowing (even), women’s soccer (even) and women’s swimming (even). “We continue to be very pleased that our student-athletes are performing well in the classroom,” said Denise Kwok, USC’s director of Student-Athlete Academic Services. “These Graduation Success Rate numbers once again show that USC has built a strong culture of academic success in the athletic department. “That is due to the hard work and dedication student-athletes put into their academic pursuits, the valued collaboration with USC faculty and instructors and the support given to student-athletes by coaches and the staff in the Stevens Academic Center,” Kwok said. He gladly traded shoveling snow for football practices at dawn, but he still daydreams about camping, fishing and his mom’s deep-dish chocolate chip cookies. 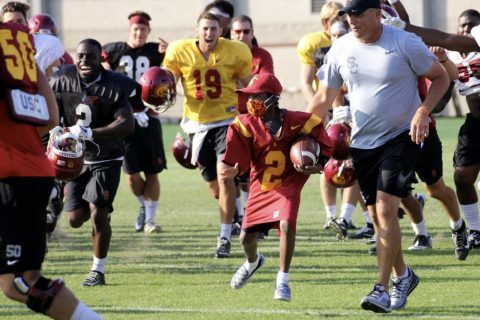 The Trojan Family shows its admiration for Taylor Hammond, a boy with a fighting spirit and sense of humor, while spreading the word about the importance of registering to be a bone marrow and stem cell donor. 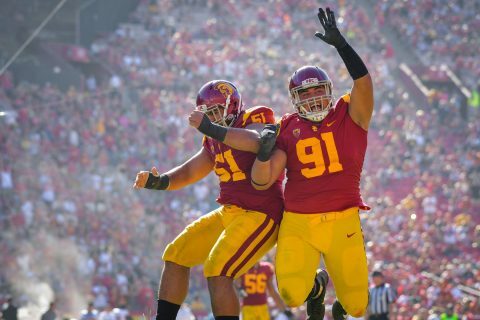 USC finished second in the Pac-12 last season, its highest finish outright since the 1992, and has won a school-record 71 games over the last three seasons. As the team heads into Saturday’s opener against UNLV, learn about tailgating permits, construction impacts and more.